Fewer than half of knife crimes over three years were recorded, a senior Sussex Police said during a meeting with police and crime commissioner Katy Bourne. 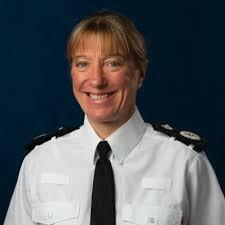 Deputy Chief Constable Jo Shiner said that the real figures were more than two and a half times higher because of a “system issue”. The news emerged as a 17-year-old boy from Hove, was stopped, searched and found to have a knife. He has been charged with having an offensive weapon and having cannabis. He was arrested as officers from Brighton and Hove and British Transport Police (BTP) colleagues set up a “knife arch” at Brighton railway station. The arch – a metal detector – was used to carry out a series of checks as part of a joint operation. Referring to the knife crime reporting problem, the deputy chief constable said that a number of officers had not ticked a “semi-hidden” box to say that a knife had been involved when completing their on-screen reports from 2016 to 2018. The deputy chief constable said that knife crime was “still a very unusual crime” and, even when the correct figures were used, Sussex still ranked mid-table when compared with similar forces. In 2016 the force recorded 296 knife crimes when the true figure was 665. In 2017 the force recorded 305 knife crimes when the true figure was 729. And in 2018 the force recorded 298 knife crimes when the figure should have been 827. In line with other police forces, the figures did not include offences when someone was carrying a knife but had not used it. The number of people caught with a knife which they had not used rose from 540 in 2016 to 594 in 2018. The deputy chief constable told Mrs Bourne that the correct data would be sent to the Home Office. She was keen to reassure the people of Sussex that the county “really is a very safe place to live”. She added: “There was a recording issue which was completely down to the system. Police cadets and trading standards officers have also been carrying out test purchases to check for under-age sales. Twelve shops failed out of 47 that were tested across Sussex. They were all given warnings and will be tested again. If they fail again, they will be named and either fined or prosecuted. Across the county, knife amnesty bins have been in place in police stations and knives that were handed in will be destroyed, the force said.